Friends said the electronic projects do not work. In normal projects tested by me. So, I confirm that they certainly worked. 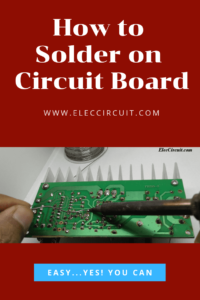 You may need to know how to solder on circuit board. When I was a beginner. Most projects do not work. 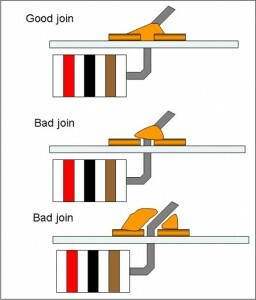 Because my solder joint is bad. 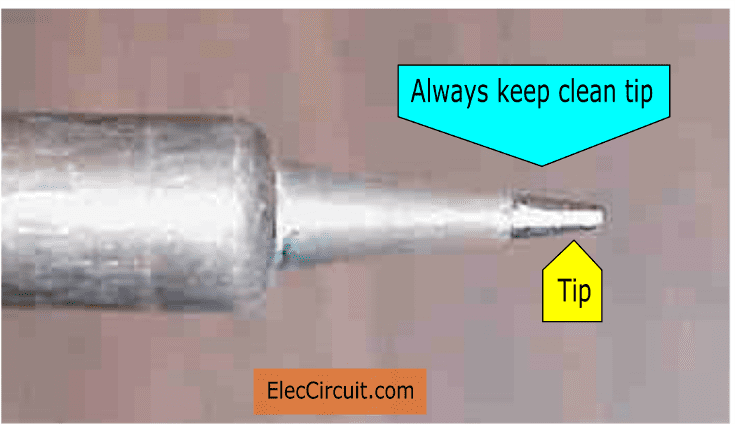 It may cause an electric current does not flow through the circuit devices. Or sometimes, I soldered too much until a short circuit. These are all the reasons the project is not working. Good soldering requires great skill. Experience and Which has how as follows. 0.1 Do you have important tools? Do you have important tools? To begin with, you should one of a good soldering iron. To reduce problems in the long run. Your time is worth more than the money spent. You should use this one can adjust watts or temperature. The temperature regulation will reduce destroying on surface mount SMD devices. 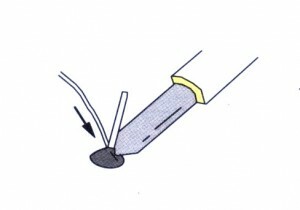 While working a soldering iron has a temperature at tip very hot—about 300°C. It is enough to melt tin and lead. Importance—you need to always keep the clean iron tip. 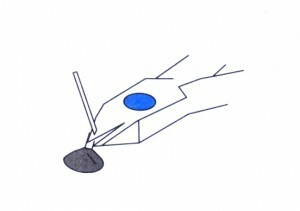 Wipe the tip to clean on a damp sponge or Soldering Iron Cleaning Sponge. Second, You need to use a good solder wire. This is a soft metal wire, usually mixed of tin and lead. This is DIY pocket pack solder. To portable and lightweight with the division lead to shorter. Normally we always to buy big lead because worthy than small. My son buy new solder; DIA: 0.8mm 1LB TIN/LEAD 60/40. 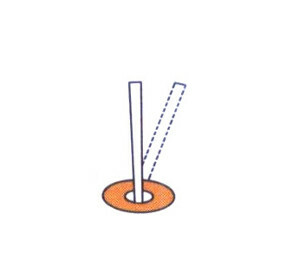 But He does not like it because too much heavy and difficult to use with As Figure 1. He saw the pocket pack solder is in here: Thus, there is an idea to adapt something near us to reused without buy more. We take pen nibs out, then put the lead instead. 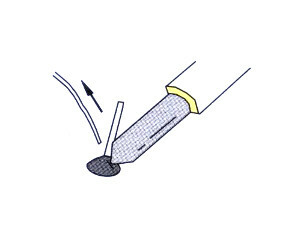 Use pliers to pull the pen tip out. Pen parts that we pulled out. We roll lines lead to a coil. Then put down instead of pen nibs. When the heat of the soldering iron to metal, zinc, copper surface. They get heat. Then, these surface are also hot enough to melt the solder wiring to cover these surfaces. Important, they should be clean! 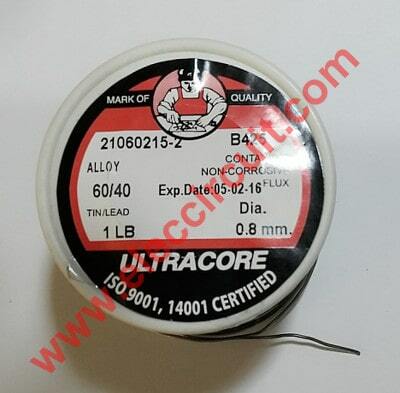 Special soldering wire exists for Electronics work, which comes with an inner core of Flux or Rosin. First, you should bend slightly device’s leg. 2. Bring a soldering iron tip to touch at the device’s leg and pad for about 3-5 seconds. 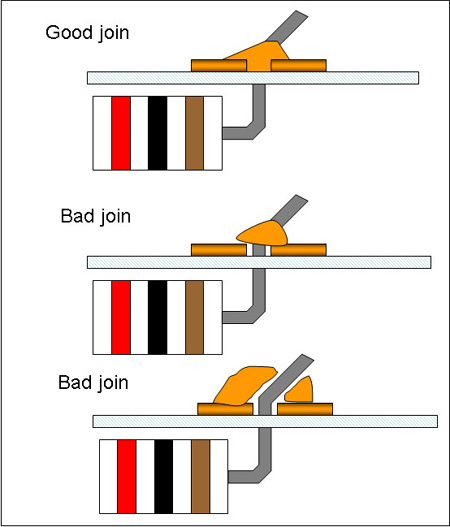 To absorbs heating from the tip of the iron to them approximately 300 ° C.
3. 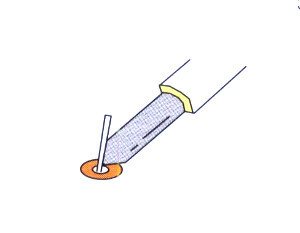 Now at the leg of the component will very hot like an iron tip. So you can feed a lead solder to touch the component’s leg until the solder melt full pad. 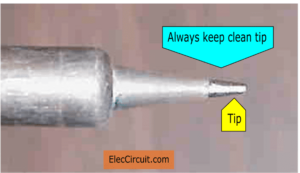 Do not feed solder to the tip of the iron. 4. Then pull solder out, and still tip at solder joint for 3 seconds. 5. You can complete the soldering. 6. Use wire cutters to cut each wire just above joint, be carefully cut into solder joint. You should Soft Wire Cutter because you often use them. It should be made of Hardened Carbon Steel Construction. It should be made of Hardened Carbon Steel Construction. Also, it has An internal spring returns the tool to the open position, reducing operator fatigue. Warnings Always wear safety glasses. While cutting the wire to the electronic device Sometimes it splashes far and very heavy. 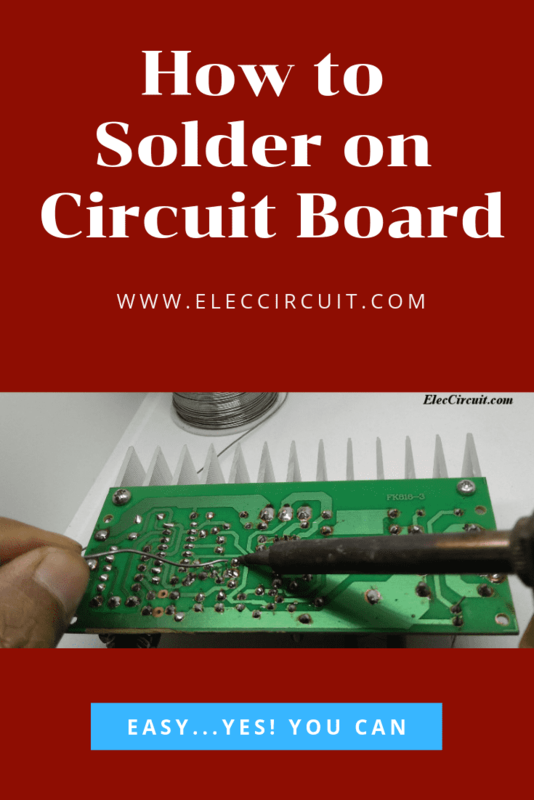 The beginner asks me how to solder wires. It is also easy. Sometimes you need to use a helping tool. It helps the wiring and the circuit board is easier. I see on internet people like to use a helping hand tool as Figure 1 below it bestseller on Amazon. If I need to use it now but will buy at Amazon must to wait for 3 days or I don’t like to look for it in many stores. It is lost time. So, I think to apply a lot of parts in my supply rooms, to make this tool. Eventually, I can make the helping hand for solder, successfully, It is used very well in cheaper. Please see in the video below (you will understand better). I use an Old sheet of plywood as base of this tool. Alligator clips hold with universal plate steel is used for hold our PCB or the parts. It is easy. But Meanwhile solder will have too much smoke it is a danger for us. So I add a fan for Smoke Absorbing to the back. I use computer Fan 12-volts and build DC power supply to it use. It is also easy. All this tool I use money is zero because all thing I apply from at home not buy new. 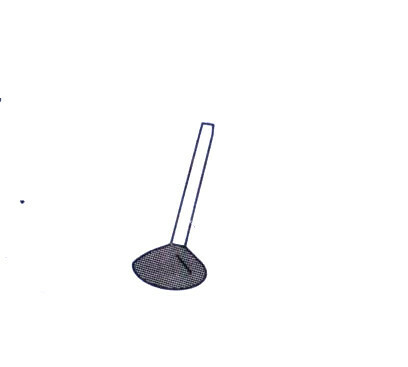 But in future I will buy the solder smoke absorber because it can filter pollution. When we are older, the eyes not good. 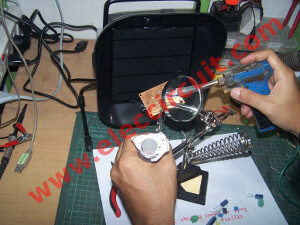 Soldering electronic components are very difficult since the device is very small. So we would like to add the magnifying glass to clearly increase to see the equipment up. Your health is the most important. Let’s use Smoke Absorber. -Remove noxious fumes quickly, safely and efficiently. -The fan is fully adjustable, quiet, and long service life. -Portable and desktop design, easy to place and move, low noise and long life service. – The replaceable filter is made by urethane foam with refined, activated, high absorption carbon. one thing you forgot is that after soldering the spot should be shiney. Adull or blackened spot means a weak joint. With all due respect. Thank You For a Wonderful Presentation!!!! !